Once you understand where to place family photos using feng shui principles, you can take advantage of auspicious energy. The benefit of feng shui placement of family pictures is a harmonious and happy family. According to feng shui principles, the best place for your family photos is in the area where your family gathers and is happiest. A family or living room is usually considered a very good area in the home to place family photos. In feng shui, whenever family photos are displayed in this room, it strengthens the bond and secures the family unit. A dining room generates abundance and should be used regularly by your family for meals. 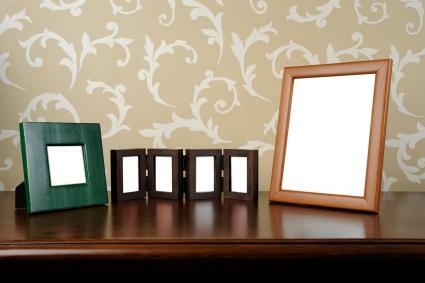 Place family photos in this room to increase the abundance of your family. For optimum benefit, create a grouping that shows your family sharing meals such as holidays and on vacations. The kitchen is the center of nourishment and nurturing for your family, especially if your family prepares meals together. A few photos in this room will ensure that nurturing continues. Avoid placing photos directly across from or facing the oven or range. A breakfast nook is the ideal placement for the kitchen. Make sure everyone in the photos is smiling. For family prosperity, display family photos in the personal wealth sector (kua number best directions) of one of the parents. Family photos facing a window is considered an auspicious placement since the photos receive new chi energy entering through the window. Photos of children can be placed on a west wall or displayed on a table set in the west sector. Choose an auspicious number of the number of photos in the grouping, such as nine. Wedding photos are best displayed in the family room or living room on the southwest wall or corner. You can display photos of deceased family members; just make sure they are happy photos when the person was in good health. Consider the context of the photo before adding it. For example, was the moment captured by the camera a happy one? If not, don't use it. An auspicious place for family photos is on the walls of a staircase landing. The stairs carry the chi energy to the rooms upstairs and the photos capture some of this auspicious energy when placed here. You can set a grouping of family photos on a coffee table, end table, or library sized table in the family room. Tabletop photos can be set on a dining room buffet or console table. A table that is across from a window, so the photos face the window, is an auspicious placement. Select an appropriate frame for each photo to demonstrate respect, love, and honor. Never use a photo without a frame. The cardinal feng shui rule about photos and the bedroom is you only want the photo of your spouse (if married) or lover. While it may be tempting to place photos of your children, parents, and other family members, this is inauspicious. The yang energy family photos create can be overpowering and cause a restless sleep. Photos of deceased family members in the bedroom introduce a different kind of energy that isn't conducive to a restful sleep. Some feng shui practitioners believe a wedding photo in the bedroom is inappropriate, especially a large one above the bed. These photos create too much pressure and stress. There's always the danger of the photo falling off the wall and injuring you while you sleep. One strict feng shui rule about where to display family photos revolve around the fireplace. It is a big no-no to display family photos on, above, or beside the fireplace. The most common place used is the fireplace mantel. This rule applies to both living and deceased family members. If you have photos of your family on the mantel or other part of the fireplace, stop for a moment to consider your family relationships. In feng shui, this type of photo placement causes quarrels and arguments between those in the photos. There are more feng shui rules about where not to place family photos than where to place them. Never place portraits on the wall or a table that faces the front door or the hallway leading to the bedrooms. Don't hang family photos underneath a staircase or in an upstairs bathroom. Never place family photos in a bathroom or facing a toilet or on a shared wall with the bathroom. 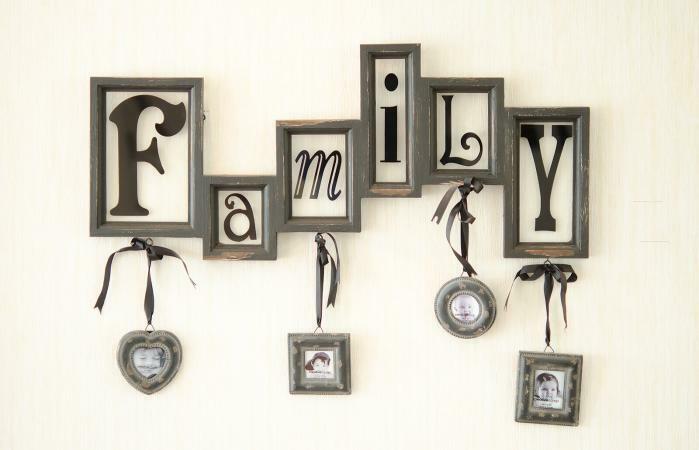 Avoid placing family photos underneath a beam or across from a poison arrow, such as a sharp corner or column. Never place the family photos facing (opposite) the kitchen or on a shared wall with the kitchen. By following feng shui rules for placing family photos, you have clear choices. Take advantage of each area where family photos attract auspicious energy and watch your family reap the abundance and good luck.